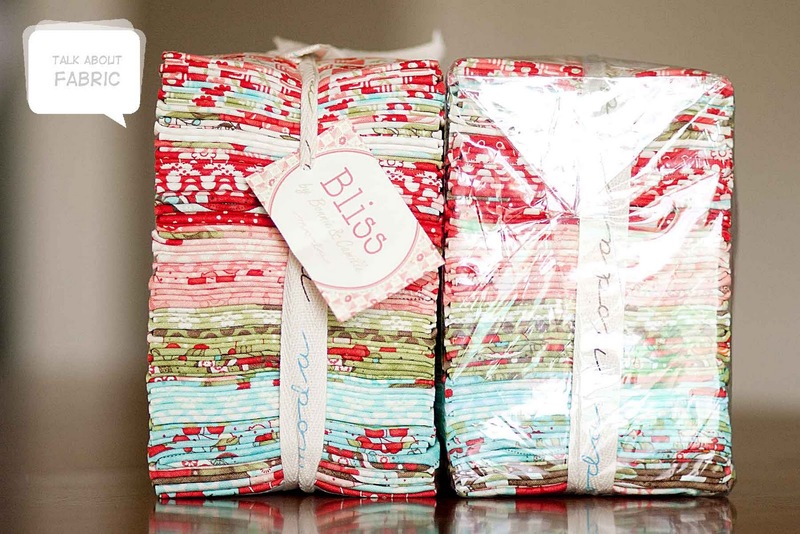 See these two gorgeous stacks or Bliss? The one on the left is mine. The one on the right could be yours! Our countdown to Quilt market is almost over. It's time to reveal the BIG Grand Prize. 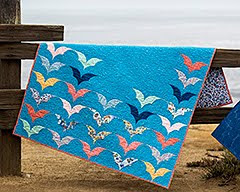 We are giving away a Fat Quarter bundle of Bliss by Bonnie and Camille for Moda. That's 40 fat quarters to one lucky winner. A prize like this needs lots of chances to win don't you think?? Me too! : ) You have 5 chances to enter plus 3 bonus entries if you have our button (see details below). 2) If you follow my blog, or become a follower, leave a 2nd comment. International entries are welcome! Winner will be chosen on November 3rd, when I get back from Quilt Market. We really appreciate your help in getting the word out about the forum. It's grown to over 150 members in just two short months! It's an awesome place for all fabric lovers to talk about fabric. We have discussions going about new fabric releases, fabric giveaways, tutorials we love, fabric sales codes and coupon listings, and of course the best part, meeting new friends that share the same passion... FABRIC! As always, if you have our button and tell us on the forum you automatically have 3 entries for every giveaway we host... EVER! Such an awesome giveaway!! You rock Bluebell! Everyone should have a little Bliss in their life. Thanks for the chance to win! WOW! 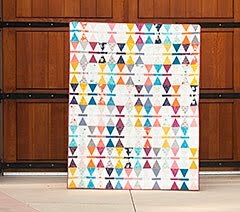 This would make such a beautiful quilt for my daughter!! THANKS for the chance! I just joined Talk About Fabric! I am a member of the forum already! And I just love Bliss - please pick me! Love bliss, and don't have any!! Thanks for the chance!! I am on the forum!!! 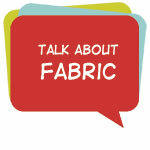 I have signed up to join Talk About Fabric! Very generous of you! I would really like to have a chance to win some bliss! I LOVE LOVE LOVE Bliss! Thank you! Thanks for the chance, a rabid quilt guy could REALLY use some Bliss!! I've joined Talk About Fabric as well. What an awesome giveaway. Thanks so much!! Signed up and registered for the new forum. Looks amazing. Can't wait to dive in. this line is so pretty! thank you for the giveaway! i'm already a member at talk about fabric! i added the giveaway to my blog under fabrics fabrics! Love the fabric, thanks for the chance to win! And I posted this giveaway on my blog! Those fat quarters really stack up! Those are AWESOME fabrics! Please put my name in the drawing. I'm a member of the TAF forum. Oh, and count this as my comment. YOU ROCK!! I'm a new member of your forum!! Now i'm never going to leave!! I hope to be blessed with Bliss! LOL Thanks for the giveaway! WHOA great prize!!! Love your blog! Beautiful fabric - generous giveaway!! I knew I was in for a treat when I found your blog!! Who knew it was gonna be LOTS of treats! Already a follower and darned glad of it! I would love a chance at that fabric. THANK YOU! Joined Talk About Fabric (isewcrooked) today! Thanks for the chance to win the fabric I most covet at the moment! I'll just depend on my one comment to do it for me. *S* Thx for a really wonderful giveaway. I love Bliss! Thanks for the great giveaway! What a generous giveaway! Awesome! What a lovely giveaway! Please add me to the drawing! Bliss is so bright and beautiful. Thanks for hosting a giveaway. 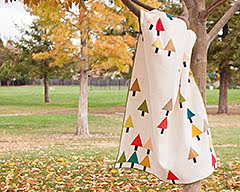 I am a new member of Talk about Fabric! 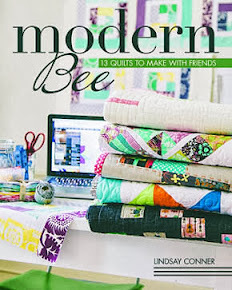 I am a member of Talk about Fabric! I registered at talk about fabric! WOW!! what a prize!!! It would be great to have all that fabric to fondle!! I love your giveaway. Please add me. OH the bliss I could have with this pack of fatties! Oh it would be blissful to win. I did go over to Talk About Fabric and check it out. Wow, what a wonderful forum! I signed up faster than my dog begs for steak. I'm a member of Talk About Fabric too! I love this fabric.. I posted it on my blog along with a link back to you... I can't wait to see who wins.. 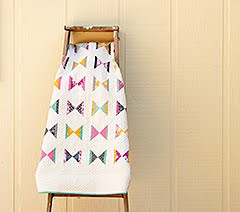 I joined talk about forum,, going to go check it out now..
Love this fabric. Thanks for the giveaway. What a nice giveaway! Thanks for the chance!!! Wow!! I love Bliss. Thanks for the chance to win. I follow your blog and love your tutorial links. Bliss! Very nice! I want it! I love this fabric, and it would be pure 'BLISS' to win it! I know this is going to look kind of fishy with all of my comments back to back, but I also am a member of Talk Fabric Forum. I wanted to get all my chances in before I forgot, :-) . Crossing my fingers!! I posted about your giveaway on my blog. Go check it out! 'cause everything made with it looks great! Great giveaway - thanks so much for the chance! 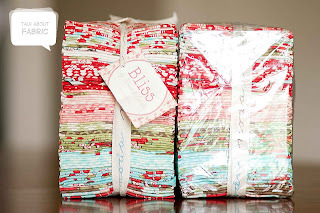 I love Bliss and would love to win this giveaway! I just found your blog and I'm now a follower. Ooh, How I'd love to win this one! I am now a follower too and I so love the bliss fabric! I just registered for the fabric forum! I'm excited-looks like lots to explore! So excited about this giveaway. I love Bliss. I am also a member of Talk About Fabric Forum. Oh I hope the giveaway fairy deems me worthy of this one! Awesome giveaway! have fun at Market!!!!! Looks lovely! What are you going to make with your stack??? BLISS! Ah, I just had to make a choice between that and Fandango... and I chose Fandango... winning this would be perfect!! Thanks for the giveaway! Awesome giveaway! Hope I win! I'm jealous you get to go to Market. Someday I hope to get to go!! came over from Michelle's blog; cool giveaway!! count me in! Oh what an amazing giveaway. Bliss is my fav fabric at the moment too!! I have just joined your fabric forum too. Thanks for the opportunity to win this fabric. I would LOVE to win! This is a fabulous giveaway. I would love to win. So far, I only have 1/3 of a yard of two of the fabrics in this line. I am a follower of your blog--I get new posts via Google Reader. I love Bliss. Thanks for this giveaway! Lovvvve this fabric! Thanks for the chance to win some! I'm signed up at talk about fabric as figure8angel. Thanks again for the chance to win! Love the looks of the fabric~thanks for the giveaway!